Daniel Liebeskind: We are a polymathic team with expertise in web and blockchain development, design, project management, finance and law. Believe it or not, we met in the jungles of Bali, Indonesia and bonded over our shared interest in blockchain technology. Daniel Liebeskind: Chestnut is ramping up the development of our platform. We have a technology roadmap, and smart contracts have already been deployed on the Jungle testnet. 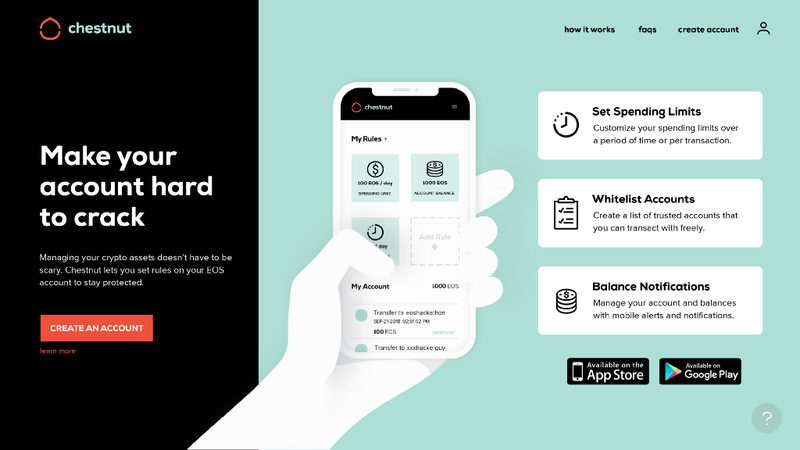 We expect to launch our alpha product in May 2019 and are currently expanding our team. Given that we are a security product, it is imperative for us that we get this right, so we’ll be conducting comprehensive rounds of testing and a smart contract audit before the launch. Why did you decide to use blockchain technology, and specifically on EOSIO? Daniel Liebeskind: We believe that wide-scale blockchain adoption is only going to become a reality when we make it easy, familiar, and safe for normal people to interact with dapps and sign transactions. EOSIO has a unique account architecture that is ideal for Chestnut Smart Accounts, and we believe that EOSIO is going to be the first blockchain to gain widespread adoption once we see the release of a next wave of dapps in late 2019. Chestnut is a key infrastructure project providing a pathway to join this ever-growing ecosystem. Daniel Liebeskind: We have been blown away by the positive response from the community, especially from developers who have said that they think “Chestnut is an absolute need”. All of the EOSIO chains have been rallying around us and supporting us with advice, resources and technical guidance. We’ve also received a lot of good questions and engagement from the wider community. 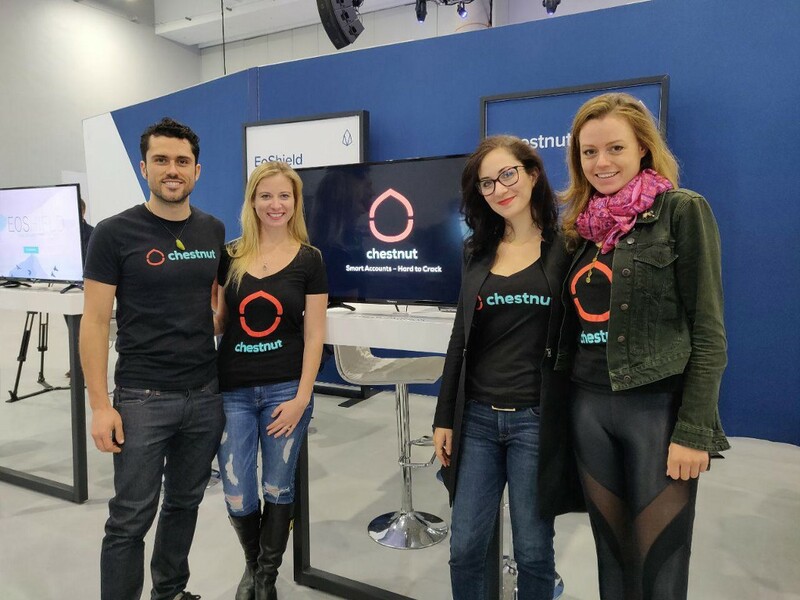 #BuiltOnEOSIO: Chestnut Prevents Your Digital Chest from Being Easily Cracked was originally published in eosio on Medium, where people are continuing the conversation by highlighting and responding to this story.